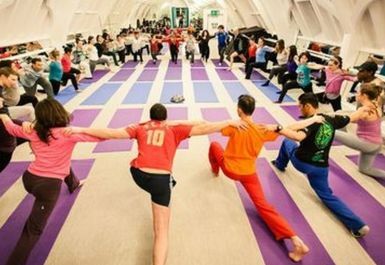 We don't just provide London's most creative and exciting yoga and wellbeing classes. Oh no, that's not enough! What we do here is truly unique; we're also about connecting people together and connecting with movement and the natural world to provide the missing links in your urban holistic experience. We’re born from community so we include social and connection classes as part of our ethos and schedule. You are what makes us. From the Marylebone Road/Euston Road or from Great Portland Street tube station, turn onto Albany Street. Take the third right – the turning after the police station. Keep Cavali Restaurant on your left as you walk through the car park then bear left and you will see a church on your right, welcome, the Albany is inside!